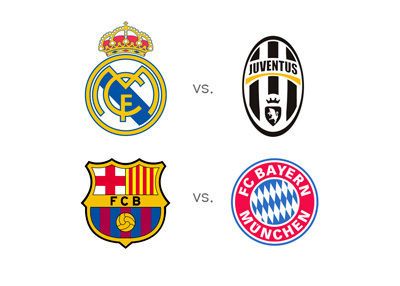 The draw has been held and it's Barcelona vs. Bayern and Real Madrid vs. Juventus. Pretty sweet. I mean would you have it any other way? Unless you are a Barca or Bayern fan of course. The first legs will be played on May 5th and 6th, and the returns are on May 12th and 13th. Over two legs... ohh yess!